Subspindle Orientation Offset. It is used to orient the subspindle properly anytime it needs to be locked, such as prior to a tool change, or orient subspindle command. This is used for the vector drive and the value is detemined at assembly time. 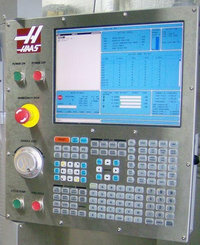 The Subspindle position is displayed on the Pos-Raw Dat screen just to the right of System Time.